The free dental care facilited listed in our , Kansas page are mostly contributed by users like you that help improve the content quality of this free website. 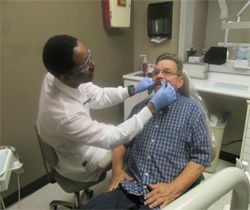 If you live in Shawnee County, Kansas and cannot afford dental coverage there are government and non-profit programs that cater to local residents in need. These services include: Cleanings, Checkups, Caps, Dentures, Braces. New Dental Patient EligibilityOur clinic treats children and adults. Before you apply to receive treatment at Marian Dental Clinic, you should know: We are not a free clinic: Once you have established eligibility, there will be a fee associated with each appointment and procedure.